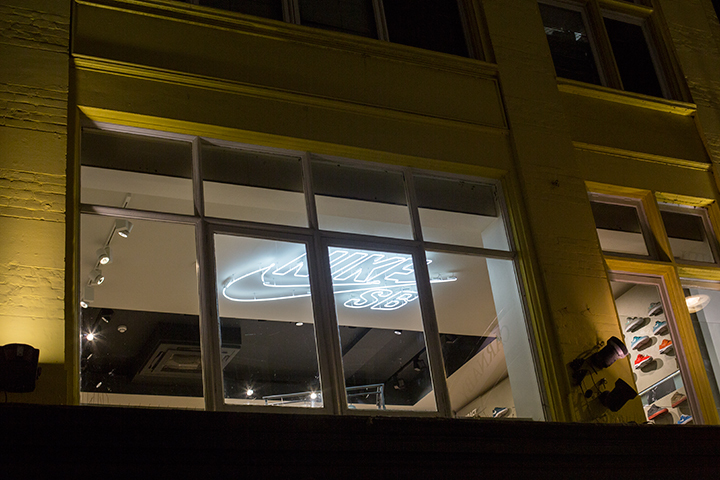 Yesterday saw Nike SB open the doors of their new solo retail space on the 1st floor of size? on Carnaby Street, London. 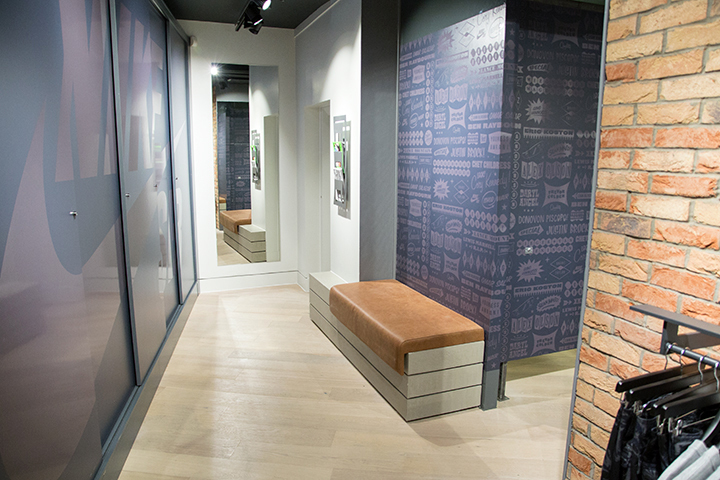 We give you an exclusive look inside. 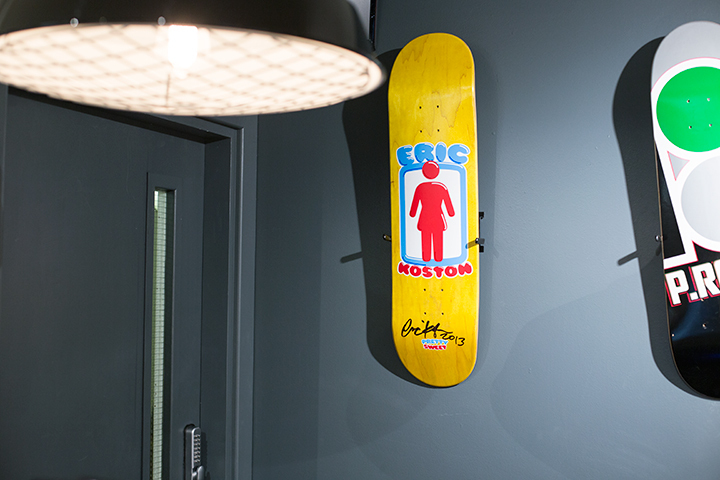 One thing is very clear on entering the store; the focus is on skate heritage, with the use of grind rails as hanging rails and concrete step inspired layouts. 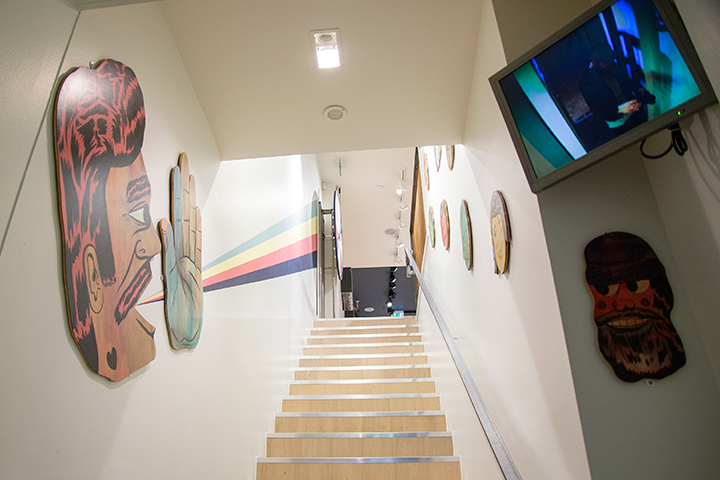 But as much as it’s a sleek, clean, professional looking store designed by the Nike team, it also holds true to that childlike fun that is the heart of skating, mainly thanks to the bespoke artwork by London artist Stevie Gee that decorates the stairwell as you walk up into the space to find a giant Wheel of Fortune (or misfortune, depending on what you land on). 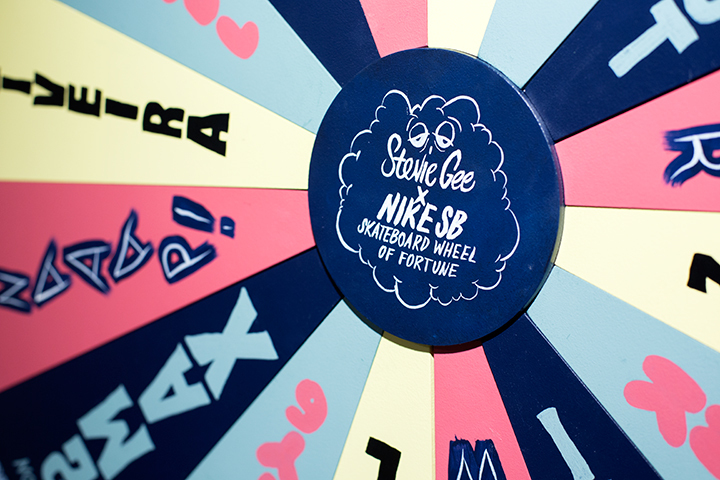 If you haven’t already, be sure to check our interview with Stevie Gee where we visited him during the creative process for this project. 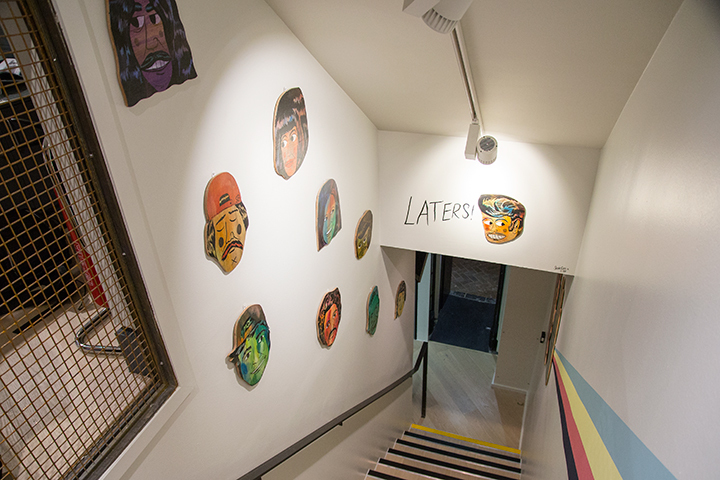 As well as the interview, you can watch a short video following Stevie Gee around London as he discusses the project and skateboarding as a whole below. 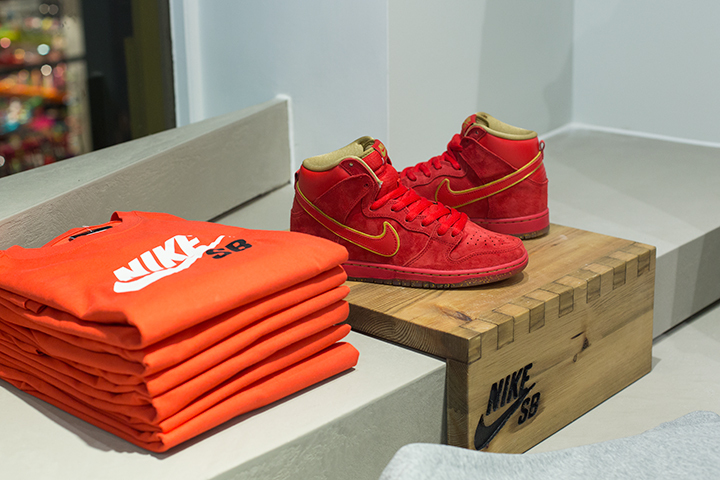 It’s great to see Nike SB opening a dedicated space outside of NikeTown and kitting it out to the max in their image. 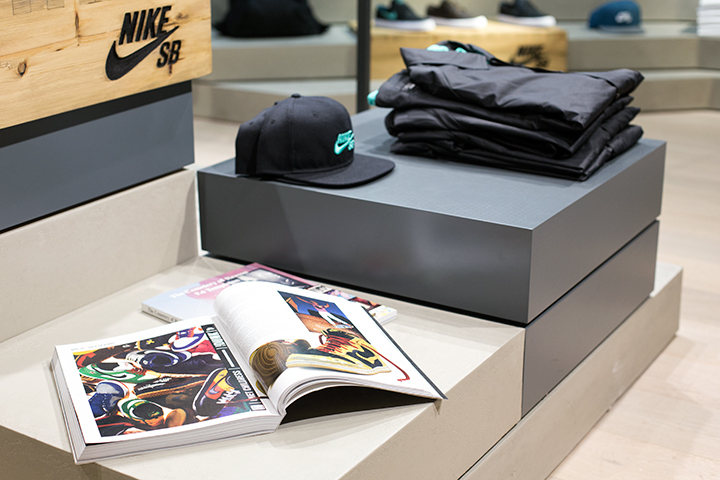 It’s a surefire sign of the impact that the Nike SB brand has had on lifestyle consumers in the last few years and especially at the moment, and how Nike value that. 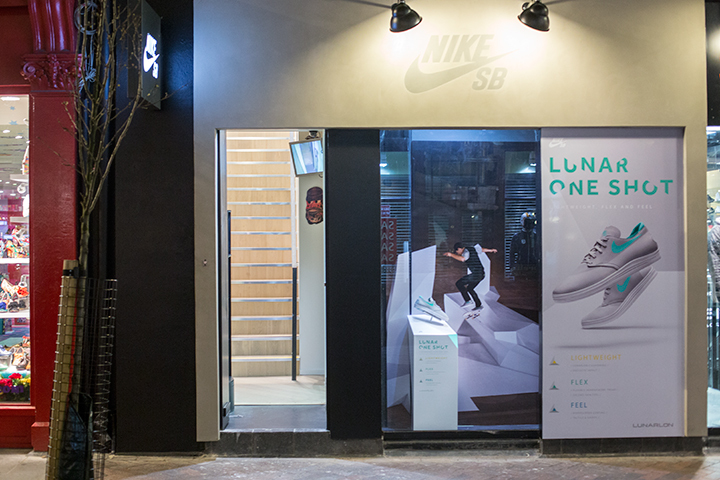 The Nike SB space opened yesterday at size? 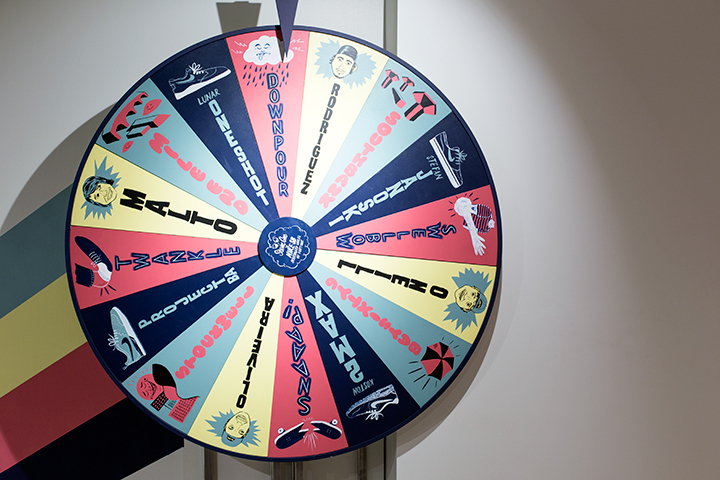 so be sure to pop in and check out the Wheel of Fortune as well as all of the product on display when you’re next in town. 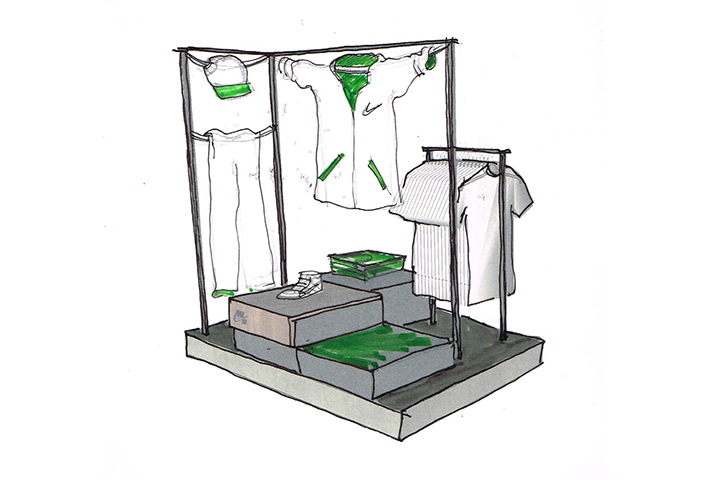 For those seeking the extra knowledge, we’ve also included some of the original design sketches below. Great shots, looks real nice. 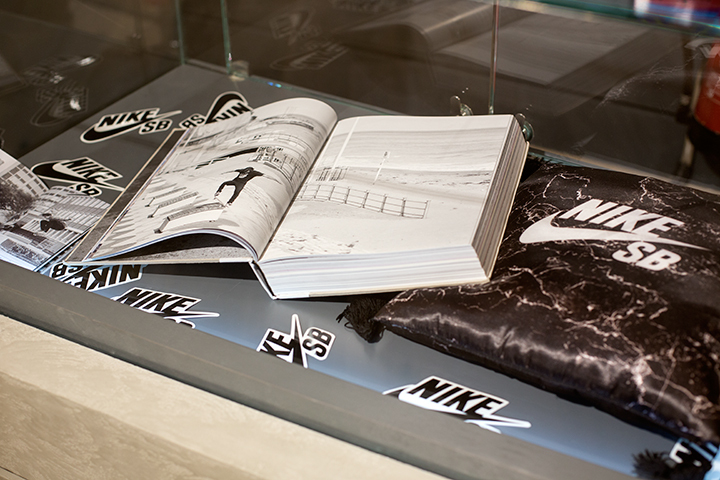 would be nice to know how this fits into nikes ‘support your local skate shop’ stuff they were pushing a year or so ago. Personally I still be shopping at Slamcity. 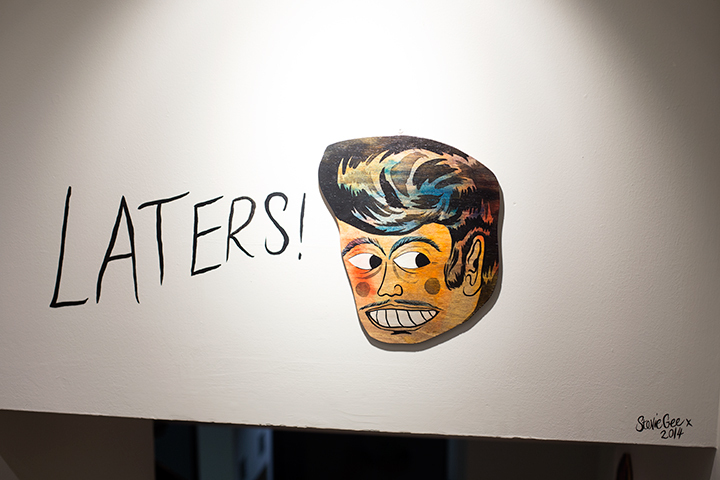 @joe It’s hardly like they are pulling all support to local skateshops by opening a single dedicated retail spot, especially in London. If these were attached to every single Size? 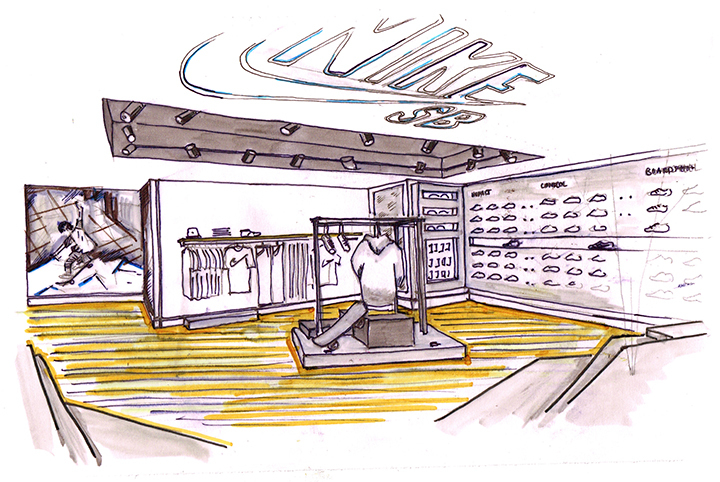 in the UK things would be different but this is a concept store not the start of any machiavellian expansion program. 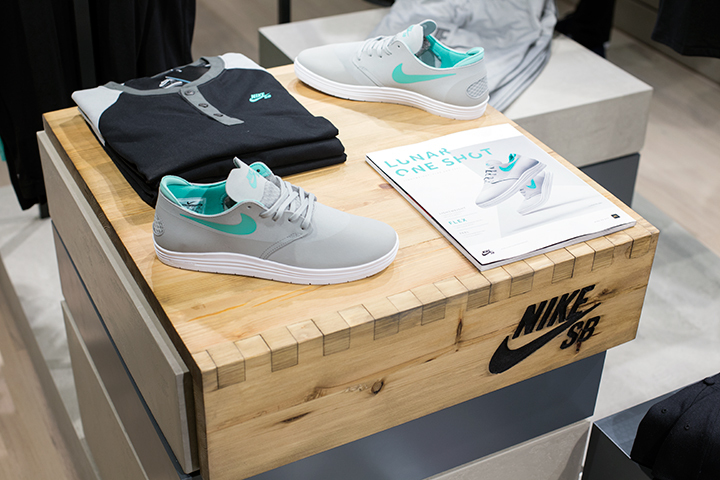 They have a Nike SB just like this in Berlin attached to Civilist, it works great and is well supported. The brand has been on a bit of a downward spiral for a while now, guess this is the start of the end. @Alex C have you been in any other Size? store recently anywhere else in the country? 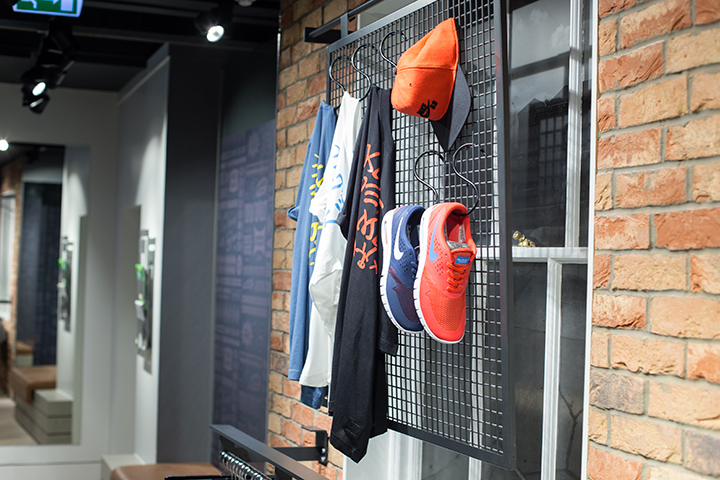 Or JD Sports or Schuh for that matter? 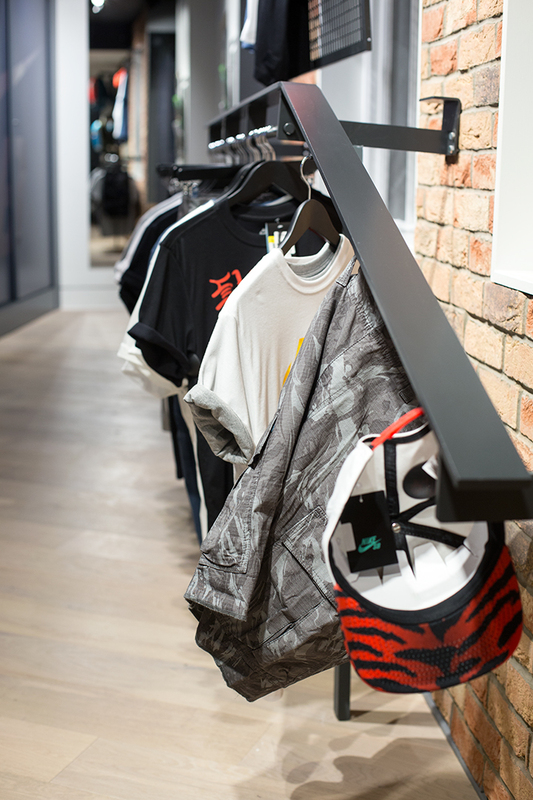 They have all been flooded with Nike SB, this concept store is just the tip of the iceberg, it is a symbol for all that is wrong with Nike SB at this point in time. 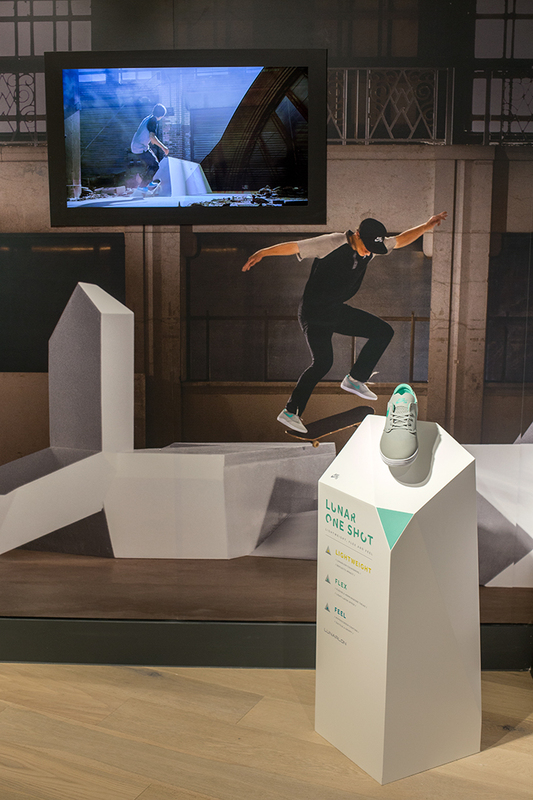 Apparently it’s in an effort to ‘promote’ the brand, but if anything it devalues it and takes the sales away from the independent shops and skate stores that have given Nike SB any real legitimacy in the past. 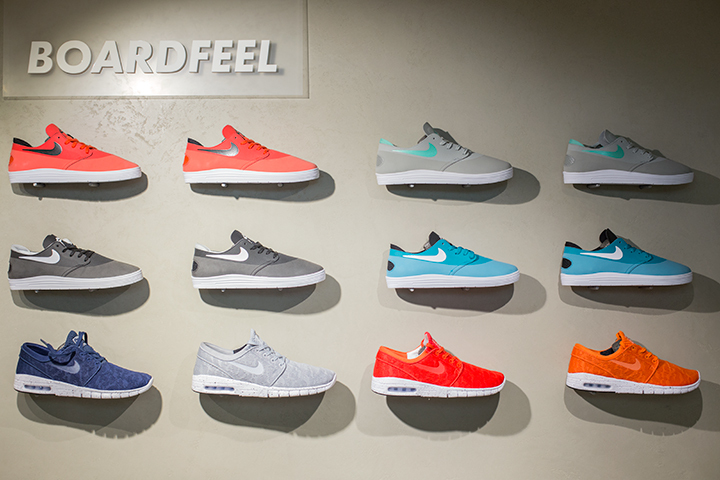 Hmmm, Interesting Nike. 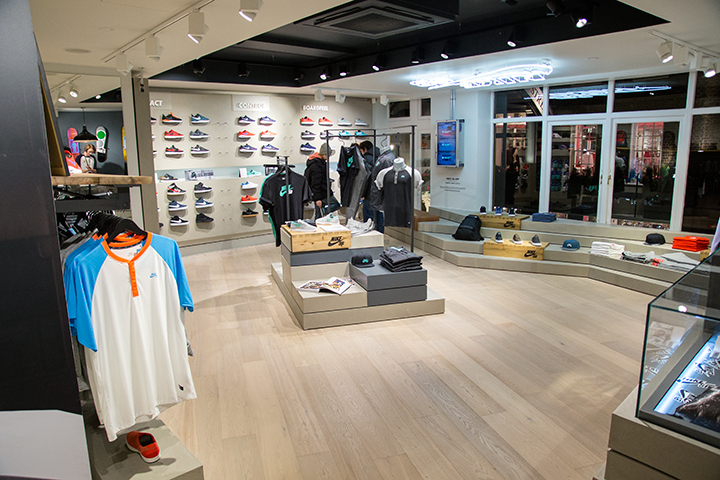 So you added a huge skateboard section in Nike town less than a mile from London oldest skateshop and your biggest supporter, Slam City, and now you open another SB stand-alone shop within a mile of them – not as a collaboration but working with a highstreet trainer shop and probably their biggest rival (because you sold them all Sb products). 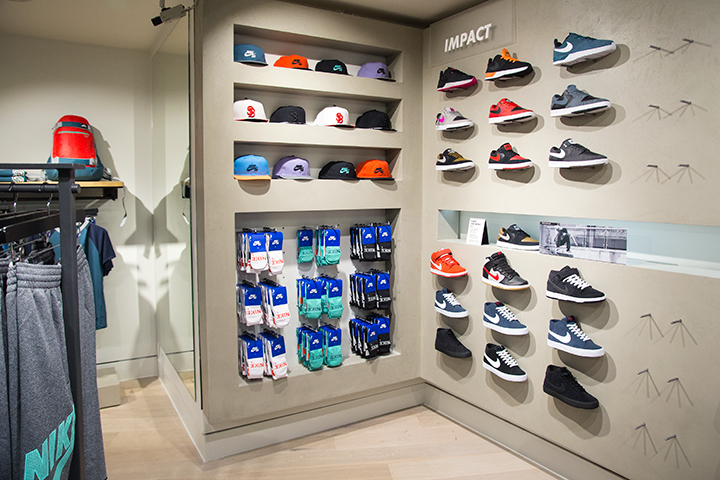 Add to this that JD sports now sell Janoski’s (and adidas Busenitz i might add). 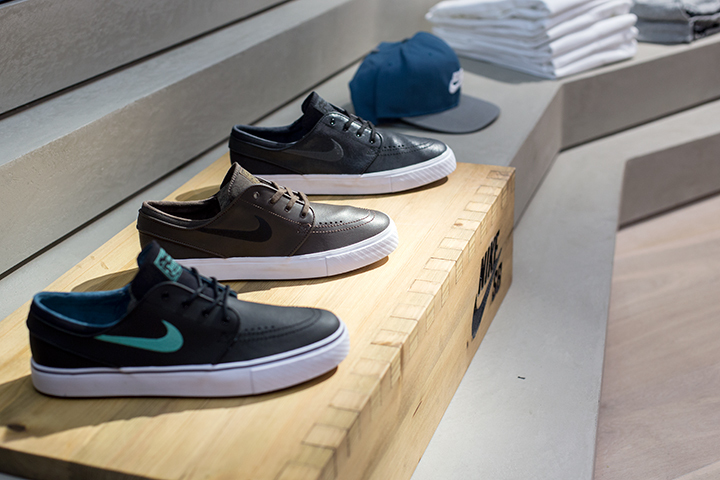 No doubt Janoski’s and Nike sb will be around and dominating for a long time yet – new skate kids don’t know any different, but supporting your local is a joke. I’m sure they still support the local shops as well, its not like Nike SB sell/push it direct online yet via the nike website. Anyway as I said I’m not sure why people are that bothered the product is on a downward spiral anyway and opening it up to any store that wants to buy it is just the final push from Nike for that last bit of cash before the brand is done and kids have moved on.